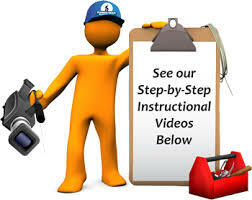 These instructional videos will help you assemble, operate and maintain you Bambrella products. How to assemble your Bambrella Side Wind umbrella. Maintenance of a Bambrella Side Wind winch system. When the umbrella will not open, you need to pull on the rope or the arm. Stand in front of the umbrella at the short arm where the rope and the pin hang down.